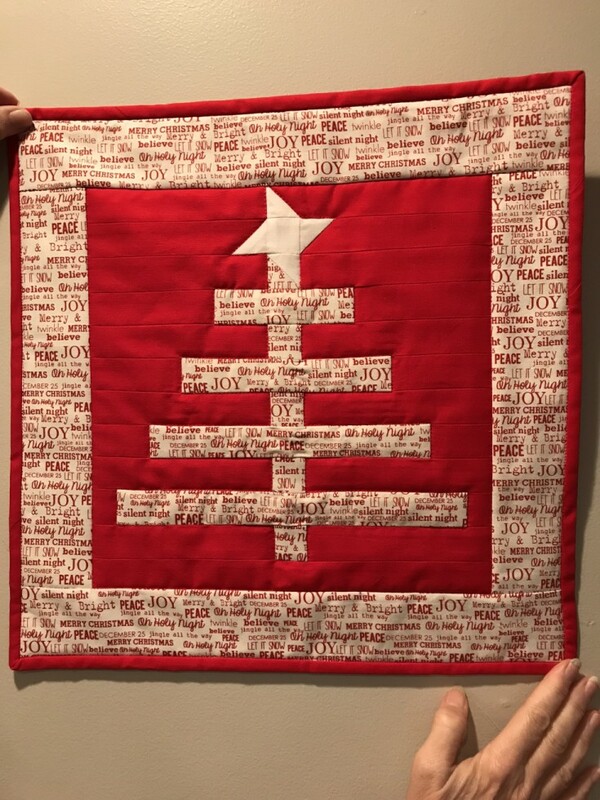 I am sharing another Christmas Tree Mini-Quilt I made as a Christmas gift. I did stitch-in-the-ditch on this one also. I used a Moda Bake Shop pattern as inspiration.